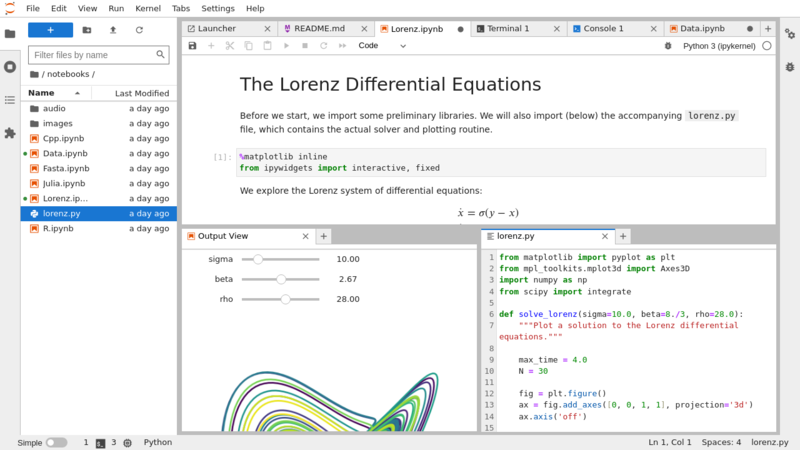 JupyterLab is the next-generation web-based user interface for Project Jupyter. Try it on Binder. JupyterLab follows the Jupyter Community Guides. © Copyright 2018, Project Jupyter. The Jupyter Trademark is registered with the U.S. Patent & Trademark Office. Revision 3b0c6e62.